Last night was one of those where I laid there with my mind working on a problem it apparently decided needed to be solved. This doesn’t happen very often for me, but it seems like when it does, interesting ideas come up. I don’t think I fell asleep until after 1am, and I was awake again before 7am. 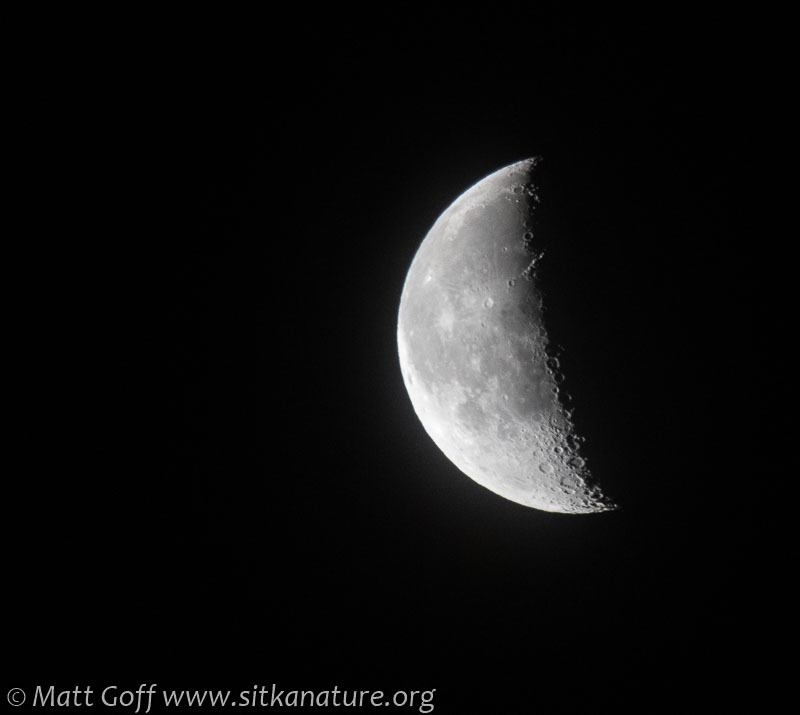 Often when this sort of thing happens, I don’t feel especially tired, despite the lack of sleep, so I got up earlier than has been typical for me of late, and was treated to the site of the moon just past the third quarter. 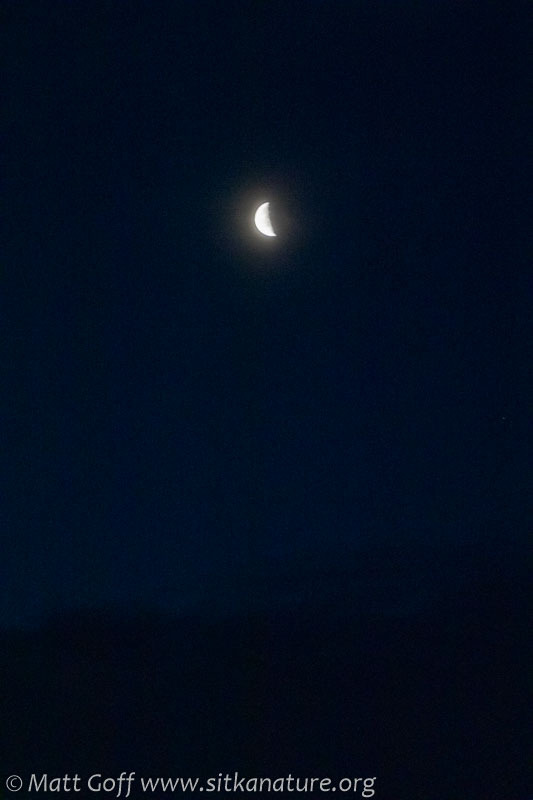 Well above a bank of clouds the south, the moon looked stunning against the deep navy of the pre-dawn sky which was starting to get lighter, though it was still an hour until sunrise. It might be possible to capture detail in the moon along with the rich color of the transitioning sky, but that was beyond me today. I was happy to get some nice detail in a telephoto shot (I enjoy seeing the crater rims illuminated on the shadowed side of the moon), but the background went to black. The wider shot I took in an attempt to show the broader context looked dark (compared to what my eyes saw), and the moon was blown out from over exposure. Though I still kept one of my attempts to remind me of the view.